Fairfax, Virginia – April 11 – MAG Aerospace, a global leader in C4ISR, integration, training, and operations, today announced that General (Ret.) 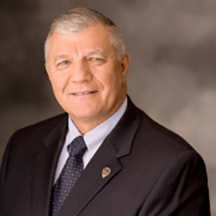 Richard A. Cody, US Army has joined the company’s Board of Directors. General Cody, United States Army, served as L3 Technologies’ Corporate Senior Vice President of Washington Operations for 10 years until his retirement in October 2018. Prior to joining L3, General Cody served as the 31st Vice Chief of Staff, U.S. Army, a position he held from 2004 until his retirement from the U.S. Army in August 2008. With more than 36 years of service, General Cody has served in six of the Army’s combat divisions and has held several key staff positions to include Commander of the 160th Special Operations Regiment—the famed Night Stalkers and as the Commanding General of the 101st Airborne Division (Air Assault). During Operation Desert Storm, then Lieutenant Colonel Cody led Task Force Normandy, a flight of eight Apache helicopters, into Iraq at 0200 hours on January 17, 1991, and destroyed two critical Iraqi radar sites prior to the start of the Allied Air Campaign.